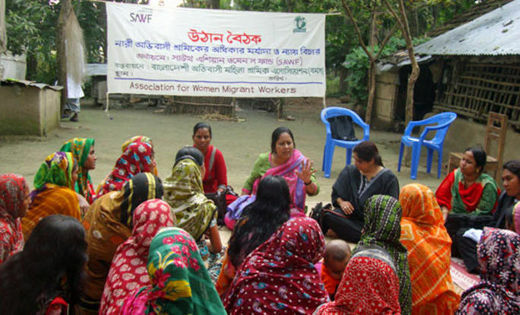 In leading these information sessions, the Bangladesh Migrant Women’s Organization (BOMSA) seeks to assist women in understanding their rights-from what they should demand of those who facilitate their migration, to the wage and working conditions at the homes in Gulf and Asian countries where they will be employed as domestic workers. Many workers migrating from Bangladesh and elsewhere are first trafficked through another country-where a lack of proper documentation may result in their arrest. In Mumbai, India, a transit point for many migrants, human rights lawyer Gayatri Jitendra Singh works both to assist imprisoned migrant workers and to change the country’s laws so that, rather than penalizing migrant workers, the laws recognize the culpability of traffickers and corrupt labor brokers. 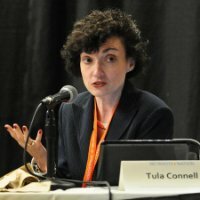 This story, reprinted from the AFL-CIO Now Blog, originally appeared on the labor federation’s Solidarity Center website. Photo: Courtesy, the Solidarity Center.